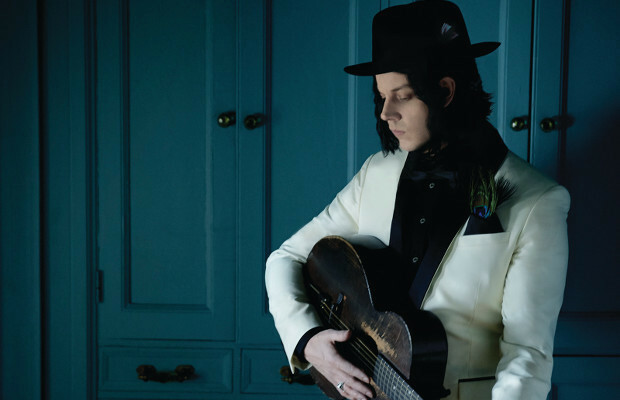 Capping off a lengthy tour cycle in support of last year’s Lazaretto, which has taken him all across the globe, Nashville rocker Jack White has announced that, following his headlining stints this week at Coachella, he will be “taking a break from performing live for a long period of time.” Before he takes a breather, however, Jack will embark on a short acoustic run – his first ever – of “the only five states left in the U.S. that he has yet to play” (internet sleuths peg these as Alaska, South Dakota, New Hampshire, Vermont, and Wyoming). For these shows, which will be announced day-of, tickets will cost just $3 cash, and White will be accompanied by a backing band of Fats Kaplin, Lillie Mae Rische, and Dominic Davis. No word on whether we might get a bonus end-of-run outing at Third Man, but it wouldn’t be all that surprising. Here’s hoping some time off will lead to those new Dead Weather and Raconteurs albums we’ve been promised!